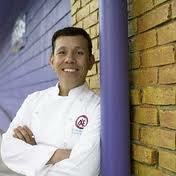 Sift & Mix with Boston’s Best: Erwin Ramos’ Celebrity Chef Cooking Class for Kids! Boston Center for Adult Education Continues Popular Celebrity Chef Kids Classes as Part of Its Bean City Kids Program! WHAT: The same place that brought you classes like, “Mind Your Manners” with a noted tea sommelier and etiquette expert, the Boston Center for Adult Education’s (BCAE) Bean City Kids program is continuing the popular monthly series of interactive kids’ celebrity chef classes! Previous SOLD OUT celebrity chef classes have included reality TV show stars Andy Husbands of Tremont 647, Jason Santos of Blue Inc., Jose Duarte of Taranta and Joanne Chang of Flour Bakery and Myers & Chang. On Monday, May 21st, 2012 from 3:30PM to 5:30PM, kids will have the opportunity to tap into their creative side, working spoon to spoon with celebrity chef Erwin Ramos of Ole Restaurant Group in the BCAE state-of-the-art-kitchen facilities. The interactive cooking classes are hands-on, allowing kids to explore a whole new world of food appreciation while learning the tricks of the trade. They will take part in the cooking process from start to finish, building confidence and pride in the dishes they’ve created. At the end of the session the group will sit down with Chef Ramos and enjoy the fruits of their labor. Conveniently scheduled after school, the classes are perfect for children six to nine years of age! The themes & items prepared vary from month to month. This class will involve creating authentic Mexican dishes such as chicken quesadillas, ground beef soft tacos, strawberry nachos and guacamole with fruits that are both prepared by Chef Ramos and students. All classes are nut-free. There MUST be a parent/caregiver present during class who is responsible for each child (no more than 3 kids per adult). Child’s registration fee covers caregiver. Don’t miss this unique opportunity to sift and mix with Chef Erwin Ramos! WHERE: Boston Center for Adult Education122 Arlington Street Boston, MA 02116.